"Rhythmic Taper," a stainless steel sculpture by Rob Lorenson, was recently installed at NewBridge on Charles, a senior living community in Dedham, MA. 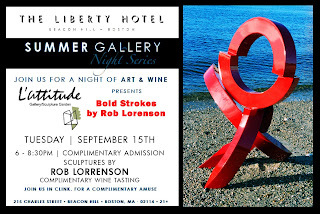 Please join us for an evening of sculpture and paintings at the Liberty Hotel in Boston on Tuesday, September 15 from 6-8:30pm. 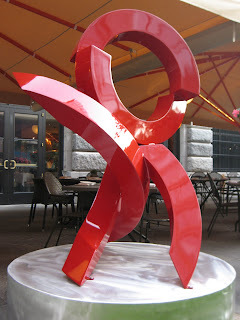 The Liberty Hotel is located at 215 Charles Street in Boston.